How does the ego factor into our decision to become a parent? The ego is that part of us that subscribes to the conditionings of culture and all that we believe we “should” do in order to feel worthy and complete. We are raised by a set of prescriptions that dictate how we should be in life: College, career, marriage, and parenting are some of the few prescriptions set forth for us by the culture around us. Many of us are led by this ego into the parenting process because it has been indoctrinated in us to do so. We believe we are being selfless but, in fact, are motivated by highly egoic and self-absorbed reasons. It is only when we can acknowledge the role of our ego in parenting that we will begin to become conscious of its influence—and then rein it in so that our children are not burdened by its expectations and agendas. What key lessons would you teach in a parenting class? Parenting is about raising the parent’s self more than it is about raising the child’s self. It is only when the parent commits to their own inner healing and inner integration that they will be able to attune to the needs of the child before them. When we parents become aware of our own “emotional baggage,” we pay attention to the many ways this “stuff” overflows into our dynamic with our children, and we pay heed to not letting it interfere with who it is they authentically are. Our greatest gift to our children is to allow them to unfold into who it is they authentically are without burdening them with our projections and expectations. I would also teach parents to mind their reactivity. Take a pause before reacting to ask yourselves this: What is this moment revealing about me? How can I change my awareness in this moment so that I can mindfully respond to my child as opposed to simply reacting to them blindly? What is the difference between creating boundaries and discipline? The concept of discipline belongs to an archaic paradigm of control over and manipulation of children, and it’s considered primitive by most modern psychologists. Most techniques of traditional disciplinary practices are rooted in punishing the child for their negative behaviors, steeped in threats, anger, reactivity, and child management. The strategies used to punish the child often have little to do with natural consequences and more to do with the whims of the parent at that moment in time. Most likely, children of disciplinary strategies harbor resentment and shame, which may be hard to shake off for generations to come. Boundaries, on the other hand, have less to do with punishment and more to do with self-respect and self-care. The parent institutes boundaries for acceptable and wholesome behavior as opposed to inappropriate and unwholesome behaviors. Boundaries can either be negotiated or set in stone. This is often determined by the severity of the inappropriate behavior. Boundaries are typically nonreactive and nonpunitive. They are instituted for the best interests of all parties involved rather than just the desire for the parent to regain control. Boundaries are essential for the self-care and well-being of all involved, raising self-esteem and self-governance. How does chasing happiness have an adverse effect on children? 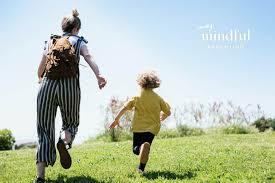 When children are taught to “chase” happiness, they are given the misguided teaching that happiness is something that is concrete and tangible that can be chased. Little do we realize that happiness is not something to be gained in the future; it is either experienced in the moment, or it is not. Happiness is a state of mind rather than an outcome to be achieved. In fact, the more one chases it, the more one is in lack and the more we drive it away. Conversely, when we steep ourselves in gratitude and abundance, we realize that happiness was nowhere to be found but in our own minds. What are some key ways to let children enjoy childhood? No screen time, more free-play time, and fewer structured activities. No pressure to succeed or look a certain way; more rest and relaxation rather than incessant anxiety over their performance. More being rather than doing.